There’s something interesting going on over at The White Company, the colour navy blue…..Founder Chrissie Rucker is famous for her strict colour edits of white, cream, black and grey in both her clothing and bedlinen, which makes for a very organised and easy life. Well the company has a new designer, Barbara Horspool, who we’re old mates with here at TWR and she has persuaded Chrissie to try a touch of navy blue and the autumn collection is looking all the better for it. The recruitment of Barbara also signals to us that the brand is taking fashion much more seriously, we know it has been an area of steady growth over the last few years and the brand thinks it has potential to grow much bigger. I love the White Company aesthetic so find this quite an exciting prospect and at the recent press day I earmarked a number of styles with TWR reader potential. 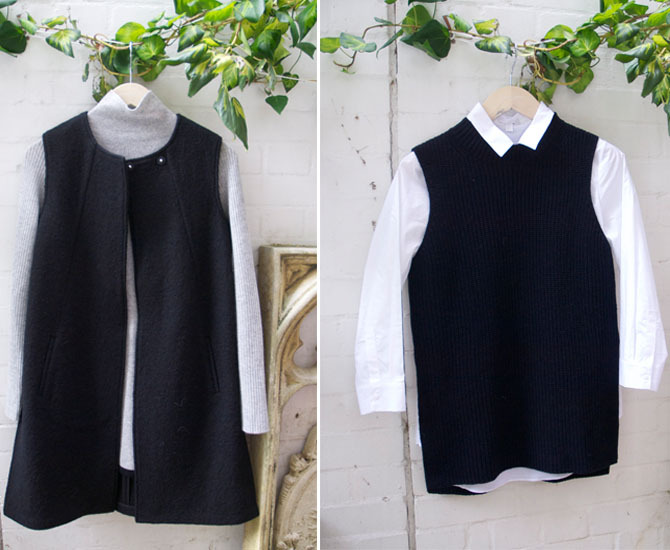 As well as inky-navy blue, which is absolutely my new black, Barbara has introduced -albeit quietly- a more contemporary feel to the range, with clean, fuss free lines and gorgeous fabrics. 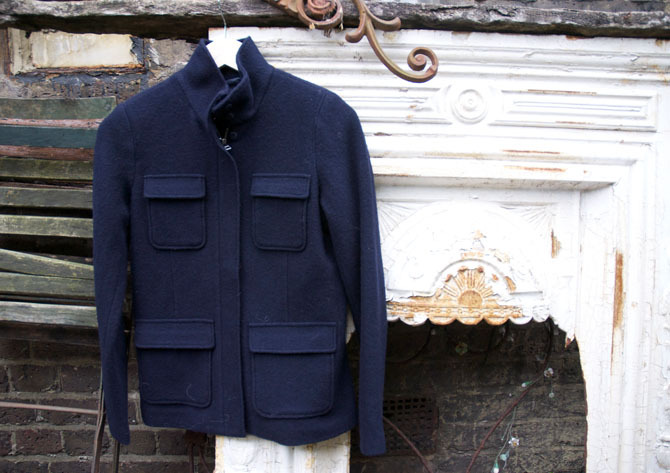 I really loved the felted boiled wool navy jacket above, with its sleek lines and patch pockets, it has the easy fit of a weekend cardigan but the smart exterior of a tailored number, so kinda the best of both worlds. 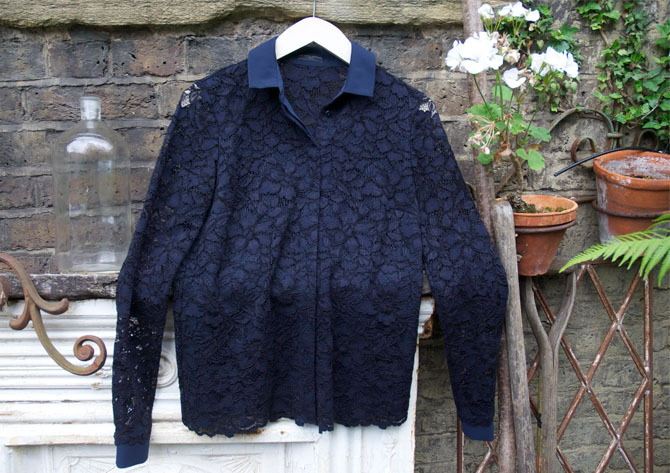 Below is the useful looking lace blouse in dark navy. Now I confess I have a bit of a thing for lace, but I’m a bit nerdy over the fabric, it has to be weighty lace, with beautiful definition and soft….lots of high street brands fail the test for me, but this one -at the press day at least- was gorgeous. 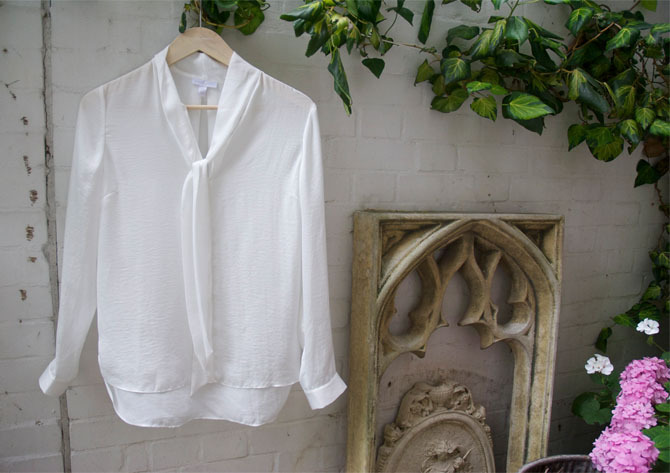 Imagine it over a navy pencil skirt or those tangerine trousers from Whistles I was harking on about recently…There’s a shirt dress in the lace too. There were a couple of nice shapes in the range, including this sleeveless felted wool jacket, which I know might not set the world on fire in terms of fashion cred’, but you just know is going to be useful to nip to the dry cleaners with or throw over a jumper when someone in your family refuses to switch on the heating because it’s only October. Ditto the heavy rib navy tank with side splits. 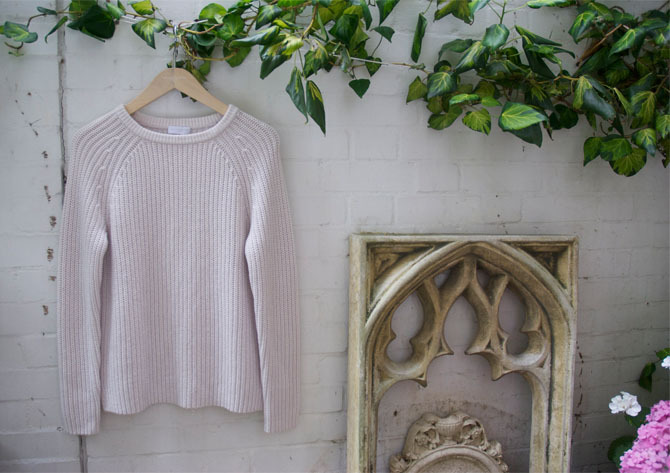 The knitwear is always good, but Barbara has made a few tweaks to shapes, including some good funnel necks (see under the sleeveless jacket above) which is THE hot neck shape for autumn and some modernising of classics like the crew neck rib below. There’s also knitted sheepskin, loads of cashmere and even trilby hats. Some of the range is filtering in now, with the felted wool jacket and lace collection appearing in October, but watch the website for the new autumn styles arriving soon. So love the colour navy – and that navy shirt looks beau-ti-iful. I read today that Cassis is the new black. Now that I can go for, in addition to this blue. Yummy autumn, ready to wear woolies now!